A combination of pre-screening and open access is the best possible defence against plagiarism. All articles submitted to University of Westminster Press journals are automatically screened for plagiarism by the CrossCheck system from CrossRef. This system compares incoming articles to a large database of academic content, and alerts editors to any possible issues. University of Westminster Press ensures that all research output, in both journals and books, is thoroughly peer review by external reviewers, and offer the option of open peer review if required. Publications of a commentary or opinion nature may not be sent for external peer review but will include extensive editorial review and revisions. All of our journals adhere to the COPE guidelines for best practice. All University of Westminster Press content is released under open licenses from Creative Commons. 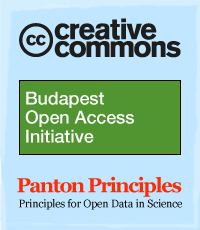 We believe that only CC BY meets the requirements for true open access for books and journals, and strongly prefer CC0 for open research data. All University of Westminster Press journals and books strongly encourage authors to make the research objects associated with their publications openly available. This includes research data, software, bioresources and methodologies. This means that peer reviewers are able to better assess the foundations of claims made, and the research community and wider public are able to similarly validate authors’ work, and are more easily able to extend and build upon it. 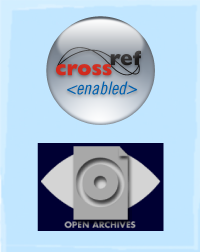 All University of Westminster Press content is indexed with CrossRef and assigned a Digital Object Identifier (DOI). This means that all of our references are made available so that citations can be tracked by the publishing community, and the content is added to the Cross-Check anti-plagiarism database. 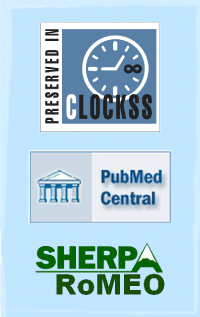 As members of CLOCKSS (Controlled Lots of Copies Keep Stuff Safe) our content is regularly archived with many of the world's leading research libraries. The CLOCKSS archive ensures that University of Westminster Press content will always be made available as open access, in any eventuality. We fully support and encourage author self-archiving of all content (sometimes termed 'green' open access). All University of Westminster Press journals are registered with SHERPA/RoMEO to ensure that the license terms and self-archiving policies of the journals are 100% clear. The University of Westminster Press uses open, non-proprietary standards for all of its content, meaning that it can be easily transferred to archives and other publishers. 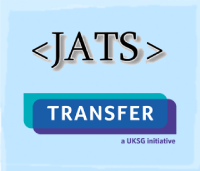 All of our article XML is compliant with the Journal Archiving Tag Suite (JATS) schema. All copyright to the published content is retained by the authors, University of Westminster Press does not retain rights to the published content and the content can be transferred away from University of Westminster Press if the editors decide to change the publisher.